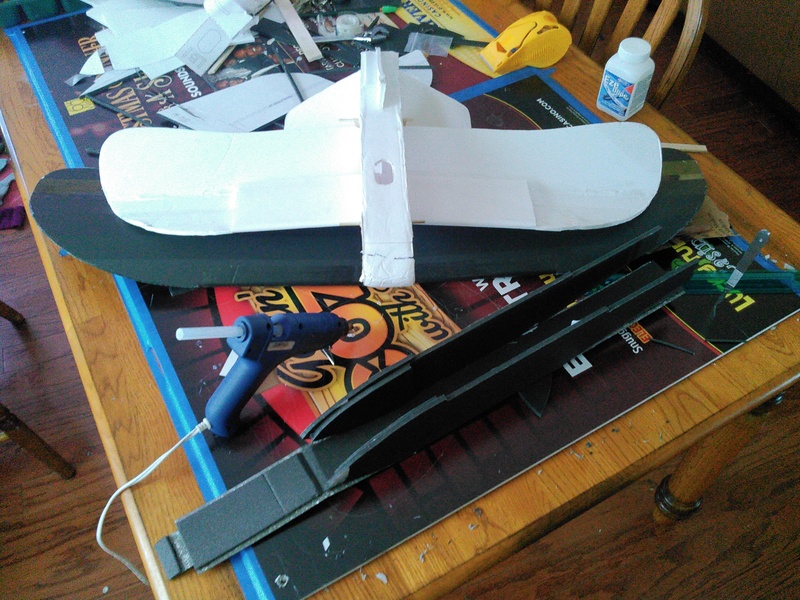 The only real mods I've done are the oversize, ailerons, and a custom nose cap that I'm still working on. I've read many a thread complaining about these birds being tail heavy. This doesn't surprise me much as we had to add a TON of weight to the chuck gliders (without motors!). So I'm going to make a "helmet" for the nose. Basically it's just a cup that covers the nose, holds the battery hatch down, and adds some length to the nose. I've left enough space between the helmet and the beak to add/remove clay. 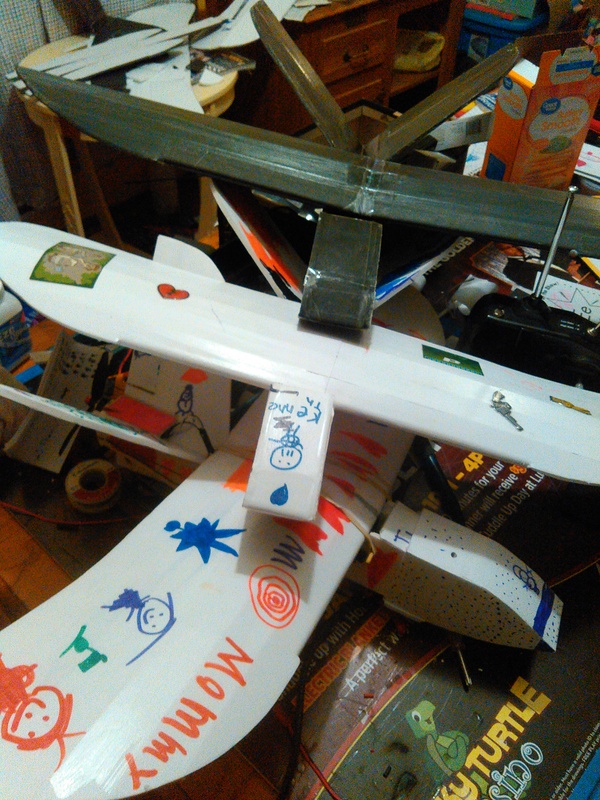 Hopefully the two bigger Sparrows will balance out ok.
buggered up the 120% wing spar and had to improvise. 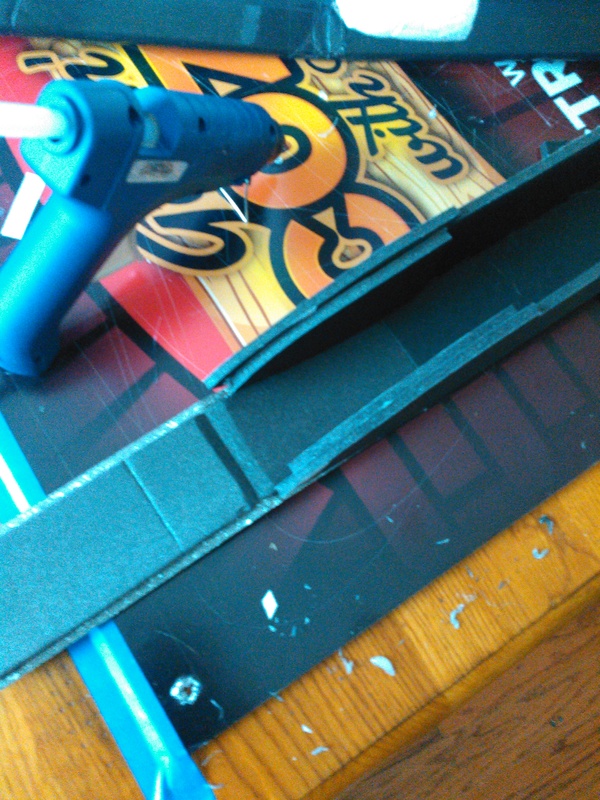 My mistake actually made it easier to get my servos in for the ailerons. 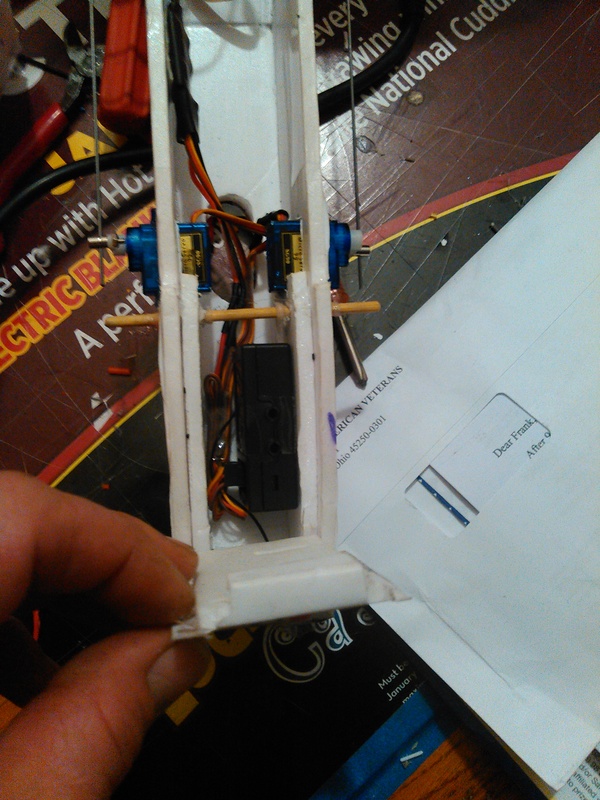 I'll post more pics tomorrow once we start mounting motors. At least with everyone running hand-me down transmitters we can all fly together. FM for life lol!!!! Looking good. Love the design the children made . Thanks mayan! 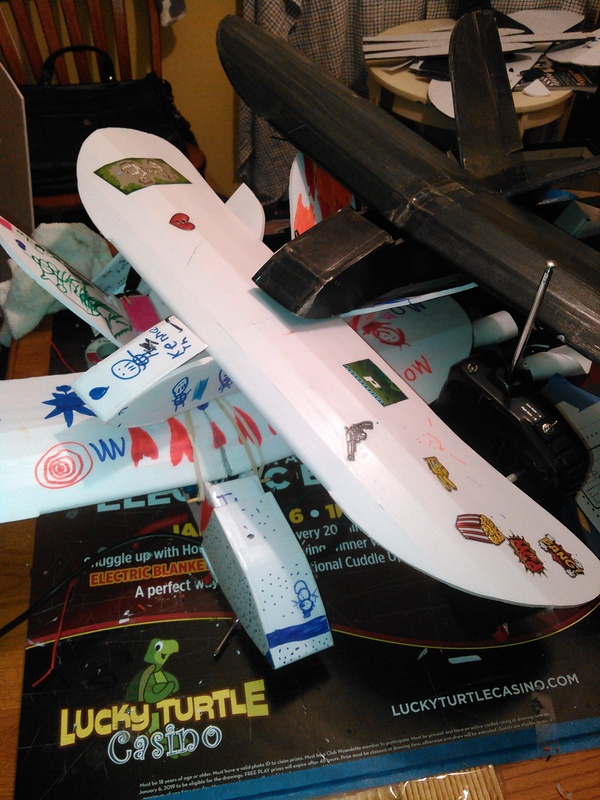 The kiddos LOVE being able to use markers to color the planes. That's the main reason I used the white foam instead of my new stash of black. I took the snowman sparrow out for glide testing/mini maiden Friday night. I need add some more throw to the controls and I think reverse the motor again. I added about 3 degrees of left thrust angle and I think I'm actually adding to it running counter clock. I've got a million of these standard and reversed 5030s so I'm covered there. 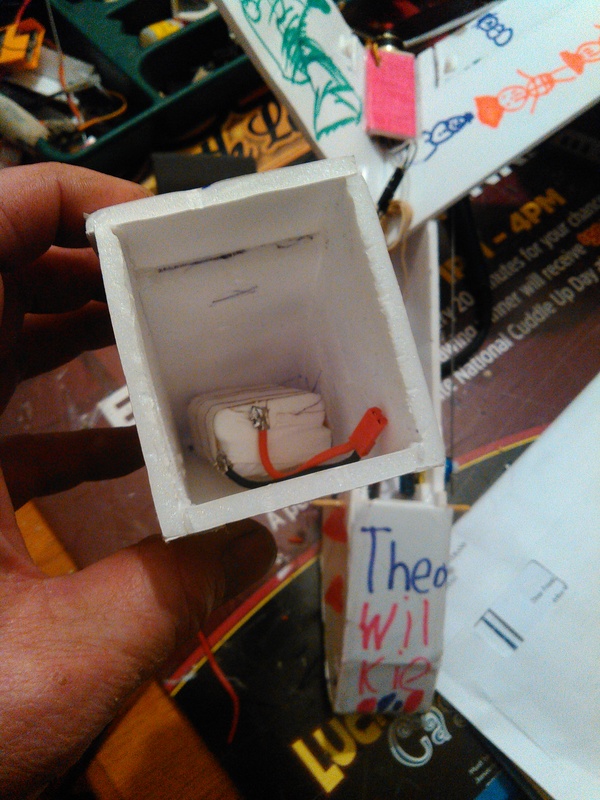 Worst case I'll center the thrust angle and just go with the best performing motor direction. I think I've spoiled myself though, I had plenty of time to change the throws but since I have to do so mechanically I put it off till "tomorrow"... needless to say tomorrow hasn't arrived yet lol. We'll get a real maiden and some new video Wednesday. (my new go-pro comes in Tuesday!) Only have three more to finish up and maiden from there! Waiting on the videos .